THE NATION in Bangkok, Thailand has just reprinted an article from archives about me and my daughter, Shamema. This article explains, in part, how Charles and Shelby Roberts were able to kidnap my daughter, as they did about one month after the article was published, and get away with it. They claimed that they had legally adopted my daughter and she was their's by right. This was a lie. 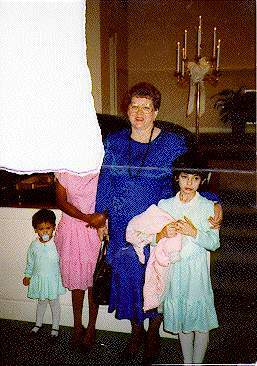 They had not adopted my daughter and still to this day, eight years later, have not adopted my daughter. However, once they got their hands on my eight-year-old daughter and disappeared, there was no way for me to get her back. Shelby Roberts - The Kidnapper: Shelby Roberts was born in December, 1938. Her Social Security number is 230-54-1665.